Founded in 1999, National Novel Writing Month (known as NaNoWriMo to the initiated) offers a challenge to authors of any skill level: write at least 50,000 words of a book-in-progress during the 30 days of November. Here’s how it works: Someone contacts the NaNoWriMo organization, and offers to host a “Write-In” in their community. That community gets added to the website as a “Write-In Location.” The word spreads, and writers of all genres meet up to encourage and challenge each other, both in person at the Write-In location and at home, during lunch, and whenever they can squeeze in a minute. Participants create an account on the NaNoWriMo website, where they can upload their work to have their word count verified each day, besides having access to thousands of other participants and mentors. NaNoWriMo helps by encouraging you to write every day. You give your inner editor a month-long vacation and just write stuff down. Some people approach November with an outline and clear profiles of their characters, and some people wing it, trusting that the story will emerge. Either way, if you sit down and write every day, you can’t possibly mess it up. 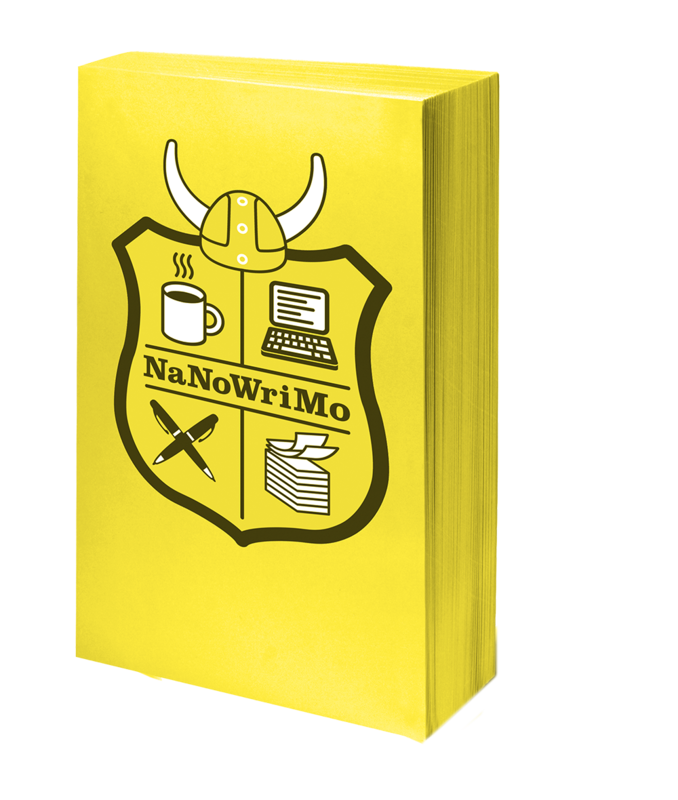 In order to “win” NaNoWriMo, you only have to write 1,667 words per day. That’s not so much, actually. It’s doing it every day that makes the difference. That’s where NaNoWriMo is really nice. You have a group of people committed to their own work, and at the same time, to your success as well. Plus it’s fun!